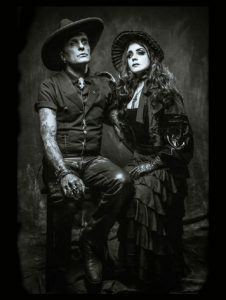 Heathen Apostles is a band known for their unique twist on Gothic Americana music. They use Gothic Country, Dark Roots, Gypsy Jazz and Southern Gothic music to brew their unique concoction. 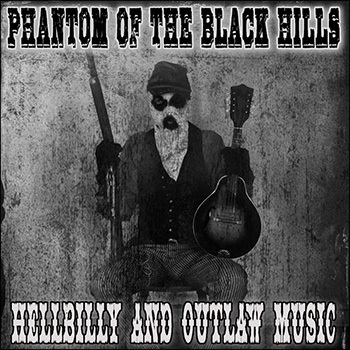 In a genre with established acts ranging from 16 Horsepower, Elliott Brood, Nick Cave & the Bad Seeds and Munly and The Lee Lewis Harlots, the Heathen Apostles manage to stand out with dual electric-acoustic hellbilly guitars and supernatural-themed bizarro west music videos. In addition to the production and mixing, Chopper plays the guitar, keyboards, banjo and mandolin. “To get our sound” he says, “I learned to play banjo and mandolin so that I could get them to work well with the heavy guitars. It never seemed to go in the right direction whenever I brought someone else in.” Thus the Heathen Apostles sound was born. The band’s sound belongs somewhere in the nether realm collectively known as Dark/Alt/Country. The genre might be considered an evolution from the Cowpunk of the 70s and 80s. Cowpunk is the (un)official name of a genre that is a mashup of Country and Punk styles. 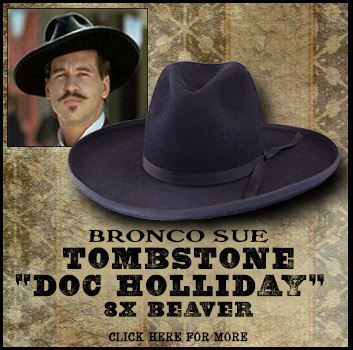 It was pioneered by acts like X, The Cramps and The Blasters. These bands, in turn, were the forebearers of Psychobilly (Demented Are Go, Rev. Horton Heat, etc) and Gothabilly (The Coffinshakers, Cult of the Psychic Fetus, etc). On their Fire to the Fuse (2015) and remix album Requiem For A Remix (2016) and Bloodgrass Vol. I (2017), the Heathen Apostles give us more than a few covers of their beloved favorites that they make entirely their own. On Fire to the Fuse appears the classic Sonny/Cher original “Bang Bang”; while on Requiem For A Remix for a it is Echo and the Bunnymen’s “The Killing Moon” that gets a makeover. Mather considers them both classics. 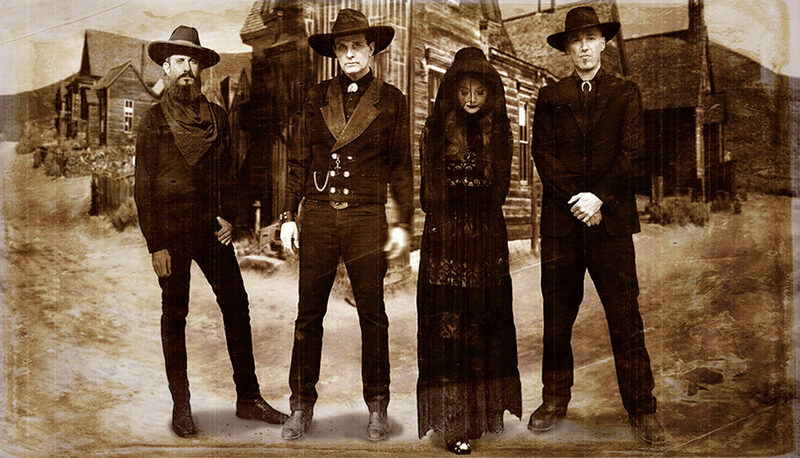 For Mather, much like the music, the music videos of the Heathen Apostles is a universe of its own; with a “blend of influences from the Old West/Victorian era, the occult, fetish and alt culture, Spaghetti Westerns, horror, and memento mori.” One of their most notable videos, “Death’s Head”, seems to play out like one of those classic murder ballads Mather and Chopper referenced. It is a song about betrayal with a hint of folk magic. 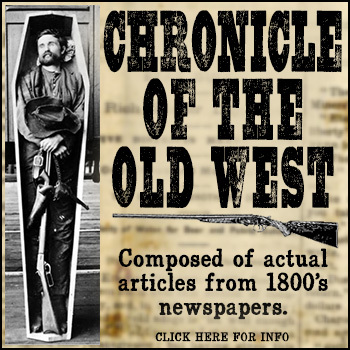 And speaking of the old world, of the old west Chopper says that, “We draw inspiration from many eras, mostly 19th and early 20th centuries, but for me, nothing is as interesting as the Old West. It took extreme courage to travel west, and folks encountered some dark characters and circumstances once there.” By Nadia Carmon of Symbols. Check out the Heathen Apostles music HERE.